Mara Purnhagen has lived in Aurora Illinois; Kalamazoo, Michigan; Dayton, Ohio and Duncan, South Carolina. She currently lives outside of Cleveland, Ohio with her family and two cats. Follow her at Mara Purnhagen’s website. 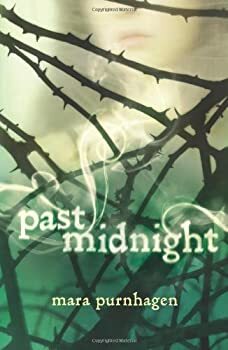 Past Midnight — (2010-2011) Young adult. Publisher: Let me set the record straight. My name is Charlotte Silver and I’m not one of those paranormal-obsessed freaks you see on TV… no, those would be my parents, who have their own ghost-hunting reality show. And while I’m usually roped into the behind-the-scenes work, it turns out that I haven’t gone unnoticed. Something happened on my parents’ research trip in Charleston — and now I’m being stalked by some truly frightening other beings. Trying to fit into a new school and keeping my parents’ creepy occupation a secret from my friends — and potential boyfriends — is hard enough without having angry spirits whispering in my ear. All I ever wanted was to be normal, but with ghosts of my past and present colliding, now I just want to make it out of high school alive…. Click here for more stories by Mara Purnhagen. Charlotte’s parents are ghost-hunters who travel the country investigating (and debunking) the paranormal. In the past, Charlotte’s peers have treated her like a freak when they learned about her parents’ profession, so when Charlotte starts a new school at the beginning of senior year, she keeps it a secret. Avery, a popular cheerleader, lives across the street from Charlotte’s new home, and the two girls become fast friends. Finally, Charlotte thinks she’s going to have a normal life —that is, until ghostly presences start manifesting around her, and until it becomes clear that there’s a secret at Charlotte’s school that no one will talk about, not even Avery.